Thrift stores have not been good to me lately. Lots of trips, not a lot of fun finds. Just a slow time of the year, I guess. But last week when I sauntered into one of my Volunteers of America stores, not expecting to see anything great, I ran across this pic-a-nic basket. Yabba-dabba-doo! Uh, wrong cartoon? 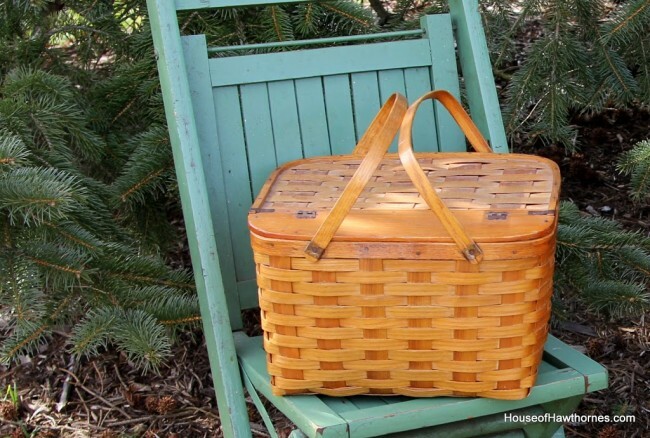 It’s not exactly picnic season in Ohio yet, but these baskets are great to store things in. Plus, they are cheap. And I’m cheap. So, a match made in heaven. 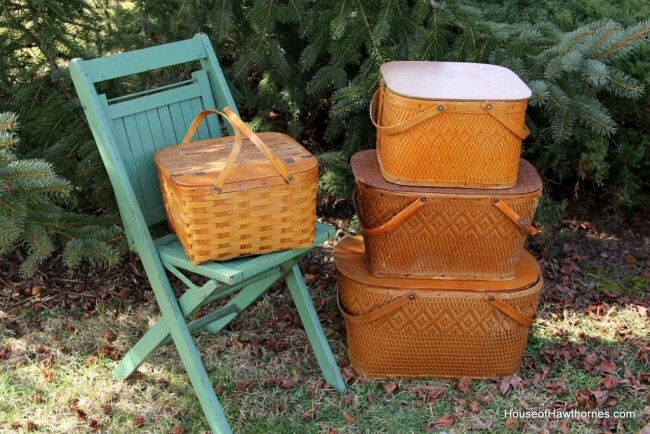 All three of my other wooden picnic baskets were right around $3.00 each. Cheaper than one of those big old plastic storage containers and with much more character. I have three of them now that have this diamond pattern on them. I believe they are Redmon picnic baskets. And a West Rindge one that is more of a woven splint design. Similar to something Longaberger would have made, but older. 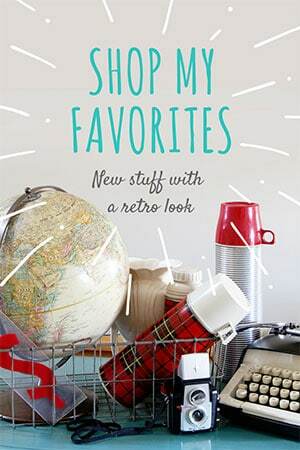 I’m taking this as a sign that the thrifting season is kickin’ into high gear. 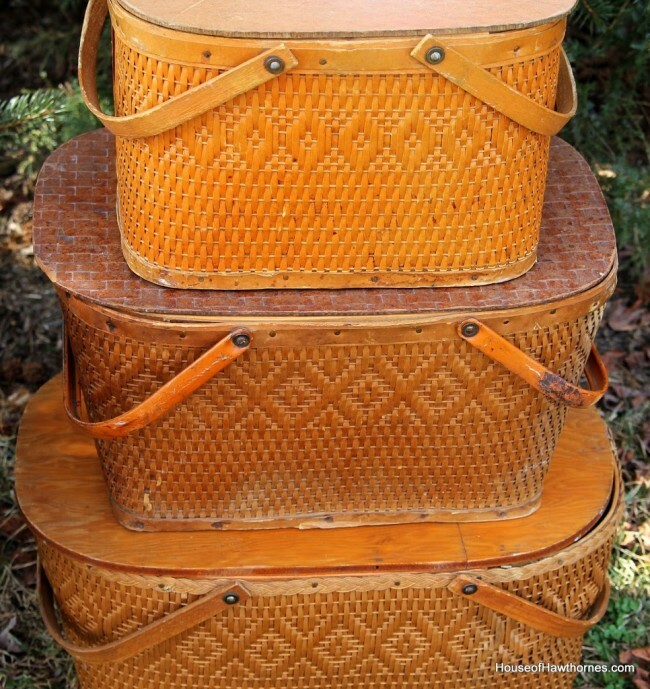 I love picnic basket and storage is defintely what I use them for…mine are even my most recent post. Have not found one as cheap as $3! One of these beauties would be fun, but four of them is a real party. I love the way they looked stacked up. Perfect! Oh, I’m so envious! I have a few picnic baskets. The cheapest one was for $5 about 20 years ago at a garage sale. How come I never find thrift shops like that? Love those picnic baskets. Reminds me of going on picnics with my family! 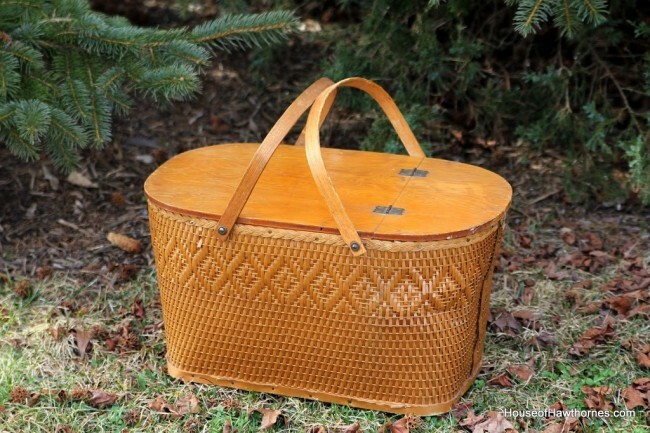 I love your picnic baskets–and such a good idea to store stuff in them. Would be perfect to store fabric and stuff in. Now I will have to look for some:)! These are a great collection. They look really good stacked together like that. Love your Pic-a-nic baskets, Pam! And how nice the three diamond decorated baskets are graduated in size for stacking! Love ’em! You are smarter than the average bear, Boo Boo, when it comes to finding great things. These are wonderful! Have a nice week! Great baskets! You lucky duck! Nothing like that exists at my GoodWill! Lovely picnic baskets, lovely, lovely, lovely! wow! i’m sure he will! those are really nice! OMG! You have my dream collection. Ever since I was a little girl I always wanted a Yogi Bear picnic basket and last summer I found one at a car boot sale. Since then I’ve been hunting for more to add to my collection. 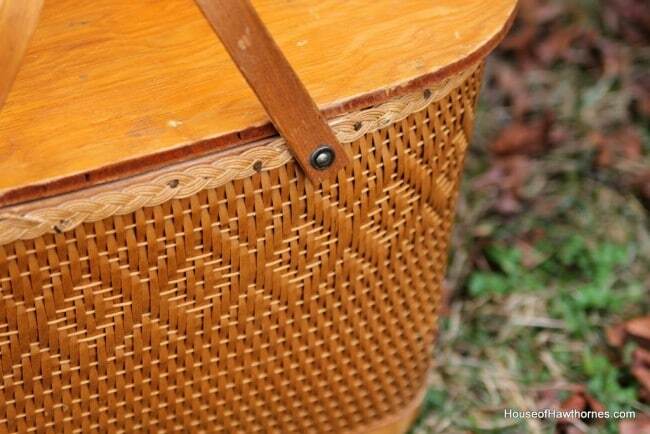 I love wicker and I love picnic baskets. Very envious. Hey, don’t call yourself “cheap”. That’s my job to insult bloggers! Pam, I love the baskets! What a wonderful idea for storage. I’ll be on the lookout for these in the future. What a fabulous collection. They especially look good stacked together. Good for you for rescuing them. Super price. Woo hoo! Wow Pam, the three of them stacked up are the bomb diggity. I am loving your picnic baskets! They look so pretty stacked and are good for storage. Great finds! I have 2, a vintage one and a longaberger. Great finds Pam….you are starting a beautiful collection. You are a lucky girl! Those baskets are so nice, at a great price! Enjoy them. I love the baskets with the diamonds. You SCORED!!! Lucky you!!! OH WOW! Those are beautiful and so inexpensive!! I have that same basket (#2 in the middle) and love it. You have done really well on all of yours and thank you for sharing them with us at NTT. I use three of mine in my kitchen to hold all my cookbooks. Awesome! What a great collection. Those picnic baskets are delightful. How fortunate you are to have found them. And only $3. AMAZING. Nothing like that around here, for sure. ENJOY. I love that you have three different sizes of the same basket! And the warm honey color is my favorite. I thought I had a steal on my basket at $10! Way to go! 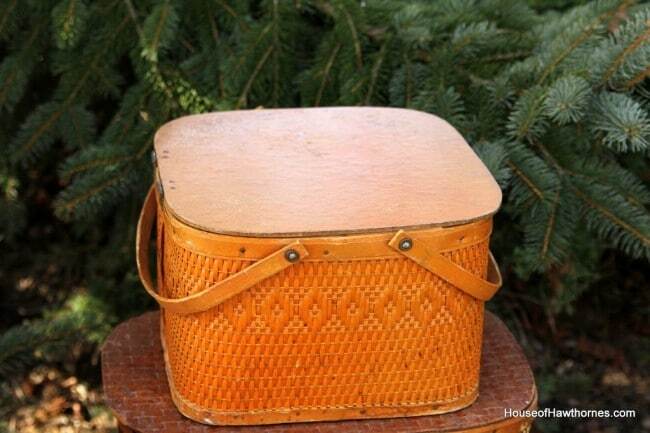 I LOVE old picnic baskets and you have some really nice ones. I have 3 stacked in the corner of my kitchen….full of tablecloths, placemats, etc. You got a great deal on yours!! What a great basket. You have quite a collection there! Very cool. What a wonderful collection and wow! At such inexpensive prices! 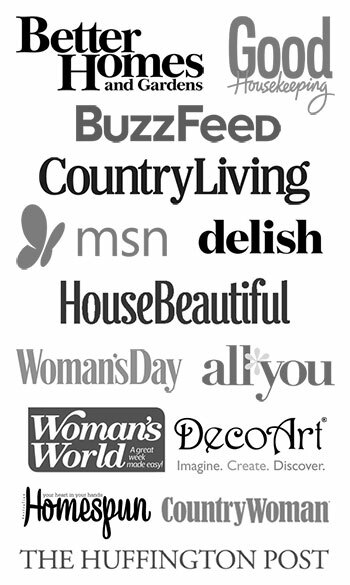 These are the perfect decorative accent but are so useful too. You scored dear Pam! I am never so lucky when I hit a thrift store! How wonderful! It’s so true — they are so much prettier than plastic storage! Wow! The baskets are beautiful, wonderful find! I am jealous – and I’m not a bear or a sasquatch (did not know they like daffodils)! They look great stacked with three different sizes! Love your collection…and especially all the different stacked sizes!